……George Evans….. was instructed by Governor Lachlan Macquarie to find and survey a route westward across the Blue Mountains. 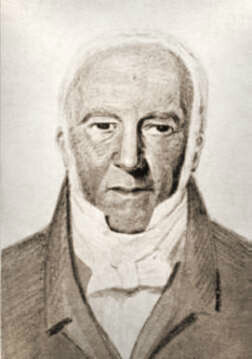 Once reaching the furthest point west reached by Blaxland, Wentworth and Lawson, Evans was dismayed to find another range of mountains, the main dividing range, still ahead of him. However, by early December he had reached the Macquarie River at what became Bathurst, naming the river and the extensive Macquarie Plains after his patron. 9 December 1813 I have called the Main Stream “Macquarie River.” At 2 ½ Miles commences a most extensive Plain, the hills around are fine indeed; it requires a clever person to describe this Country properly.I never saw anything equal to it; the soil is good; I think the lower parts of the Plains are overflowed at times, but do not see marks to any height; the small Trees on the lower banks of the River stand straight, not laying down as you see them on the banks of the river and Creeks at Hawkesbury. The grass here might be mowed it is so thick and long, particularly on the flat lands. 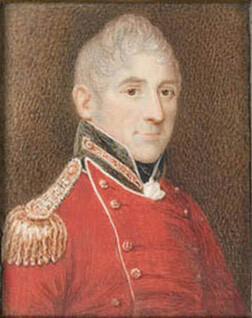 Governor Macquarie appointed retired Lieutenant William Cox JP of Clarendon, near Windsor, on the 14th May 1814, to build the first constructed road out of the Sydney Basin “across the Blue Mountains to the Macquarie River and a centrical part of the Bathurst Plains”. Cox’s party consisted of thirty convicts, with a guard of eight soldiers. Within 6 months they constructed over 100 miles of road and associated bridges from the Nepean River to the then un-named site of Bathurst. Bathurst is a Macquarie town. In an effort to open up more land for agriculture Macquarie granted permission in May 1813 for Gregory Blaxland and his party including William Lawson and William Wentworth to try to find a way over the Blue Mountains and see what was on the other side. Following the mountain ridges the party found a way through what seemed to be an impenetrable maze of valleys and high cliffs…..Macquarie sent Assistant Surveyor George Evans out to confirm the discovery and venture even further into the interior. 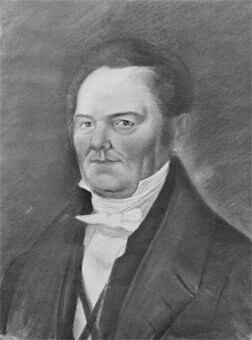 William Cox, a magistrate and landowner, was commissioned by Macquarie to build a road from Emu Ford to the Bathurst Plains. Once the road was finished Governor Macquarie and his wife, Elizabeth undertook their first trip to Bathurst. Leaving the Nepean River on 26 April 1815 they followed the road with the Governor admiring and frequently naming features that he passed, including Mount York, Cox’s Pass, Vale of Clywdd and Cox’s River. The Governor and suite arrived at these Plains on Thursday 4th May, and encamped on the southern or left bank of the Macquarie River – the situation being selected in consequence of its commanding a beautiful and extensive prospect for many miles in every direction around it.On Sunday 7th May, the Governor fixed on a site suitable for the Erection of a Town at some future period, to which he gave the Name of Bathurst’, in Honour of the present Secretary of State for the Colonies. Find out about the unique heritage of Bathurst, Australia's oldest inland European settlement and what is needed to protect it for the future.